I have posted a few times about my love for Lampe Berger catalytic lamps and their air purifying qualities. With a big variety of colours, styles, and scents to chose from, there is a product for almost everyone on your gift list. If you don't want to give a Lamp, there are room sprays and reed or ceramic diffusers that allow you to freshen your home without flame. Orange Cinnamon is my favourite holiday scent! This gift set gives two mini reed bouquets plus scent. This festive red lamp has a shiny base and shiny silver top. It would be perfect for any space in your home. I have one in my kitchen because it reminds me of a candy apple. The Bingo Gift Set comes with the Lamp, catalytic burner (wick), silver topper and stopper, funnel, and 180 ml bottle of Amber Elegance fragrance. 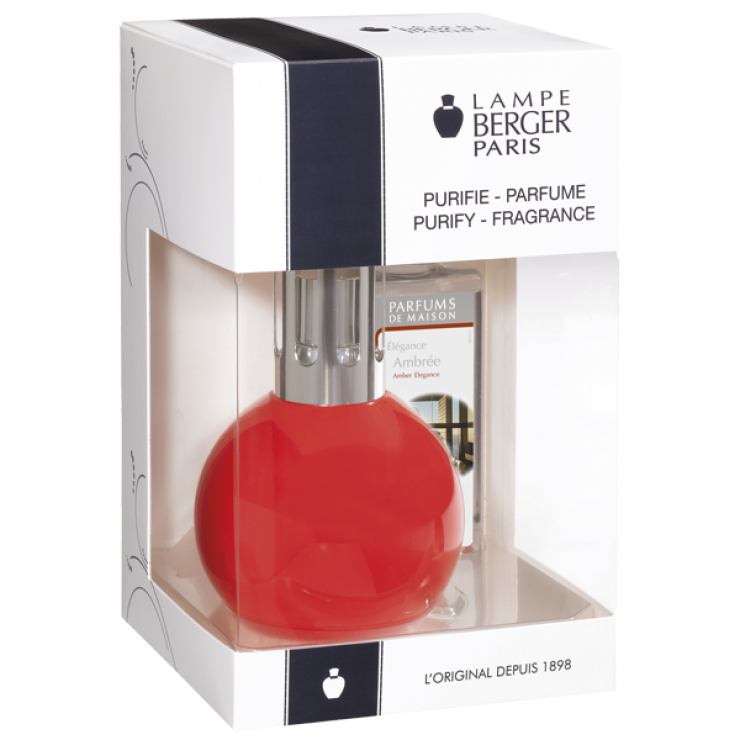 Disclosure: I receive perks as part of my involvement in the Lampe Berger Ambassador program. All opinions remain genuinely my own. I'd also love the Spirit copper set gift box! Thanks so much! I would add the Pampille Grey lamp to my wishlist! I would love the scent of orange cinnamon. Lovely in my living room. I would love to own the Scent bouquet Red boxed set!! Looks just wonderful! Thanks! I would like to try the Delicious Cherry fragrance. I would like to add the Penta pink lamp to my wish list. I'd love a Sphère smoked lamp. I would love to get a Scent bouquet Red boxed set this Holidays. I would add the Green Pampile Lamp to my wish list. I would love the Extreme Orange scent. It's on my list. Pampille Green with the green apple fragrance! I would add the Green Berlingot boxed set to my wishlist.These lampes are gorgeous!! I would really like to get the Sweet Bubble frosted , love the look of it. I like the Green Berlingot boxed set - thanks for the chance! I thinks Coral Lamp Plissée is gorgeous.